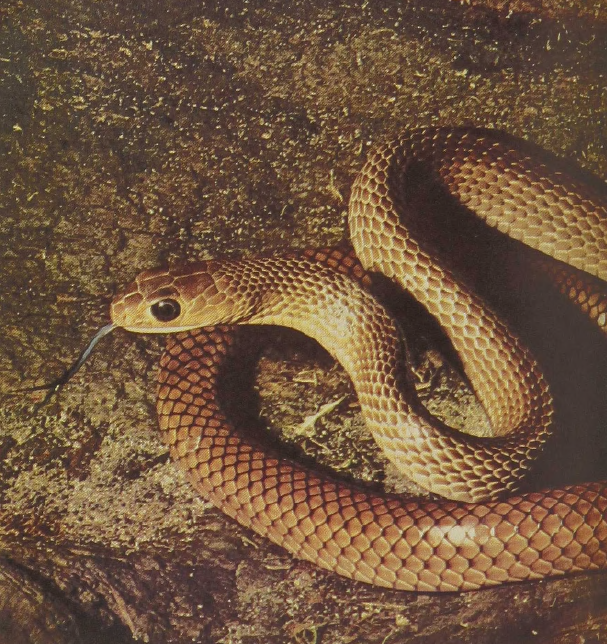 These rat snakes, attaining lengths of nearly 8 feet, are among the largest snakes of the south Indian mountains and also range from Afghanistan to China and Java. Very effective rodent-hunters, they hunt by day and chase their prey even into the forest canopy. Although the Dhaman is supposed to be one of the favorite prey species of the King Cobra in these mountains, amusingly enough, they are assumed by local people to be the male of the King Cobra. When disturbed or picked up, these large, greenish-brown snakes produce a curious roaring noise in their throat, the mechanism of which is not yet understood.